The Blood Service is urging people with O-Negative blood to make a donation as the organisation’s reserves of the type dips to just two days’ supply. An extra 4,500 O-Negative blood donations are needed this month to help boost Blood Service stocks up to normal levels. An increase in demand for O Negative blood, combined with a drop-off in donor numbers due to cold and flu symptoms, is behind the decline in supply. During cold and flu season, sickness leads to as many as 1,000 cancelled donations per week. Spokesman Shaun Inguanzo said the Blood Service was calling on 4,500 additional O-Negative donors to come forward and give blood between now and the end of July to help bolster supplies. “With one in three of us needing donated blood in our lifetime, the life you save could be that of a friend or family member. “The number of people suffering cold and flu symptoms greatly impacts the number of regular donors who are able to give. Donors who are affected by cold and flu symptoms are able to give blood at least seven days after making a full recovery. 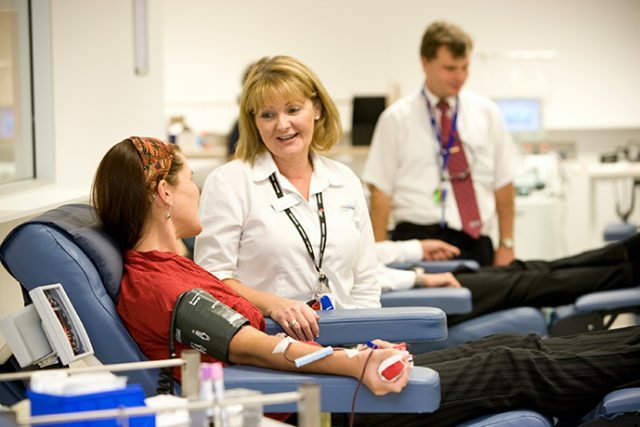 To make an appointment call 13 14 95 or visit donateblood.com.au.